Learn how to capture an enemy in this strategy guide for Super Mario Odyssey. Find out the different abilities that Cappy can perform in the game. In Super Mario Odyssey, Mario’s companion Cappy has several moves that he can use to help his famous friend. One of these moves is called a Cap Throw. The Cap Throw allows Mario to knock down objects and enemies by throwing Cappy to a certain direction. In addition, Mario can also capture an enemy by throwing Cappy at them. This also allows Mario to possess the enemy and use its abilities. Capturing enemies in essential in order to progress through the game, so every Odyssey player should know how to capture an enemy. In order to capture an enemy, you must first learn how to use the Cap Throw. You can perform a cap throw by pressing the Y button or by shaking a Joy-Con. The move will be performed in the direction that Mario is facing, so you must first face the enemy that you want to capture before throwing Cappy. Learn the moves that the enemy uses before moving towards the next path. Some enemies may move differently from Mario, so practicing their abilities is essential. The captured enemy also sports Mario’s signature mustache and hat. Each enemy in the game has different abilities. For example, when you capture a T-Rex in Cascade Kingdom, Mario will have the ability to defeat Chain Chomps and bust through previously blocked pathways by breaking through large rocks or boulders. The Mario T-Rex is the only one that can do this in the Cascade Kingdom, and Mario cannot do these feats alone, so capturing enemies is crucial in the game. In addition to the Cap Throw, Cappy can also create a platform for Mario to jump to or bounce off from. 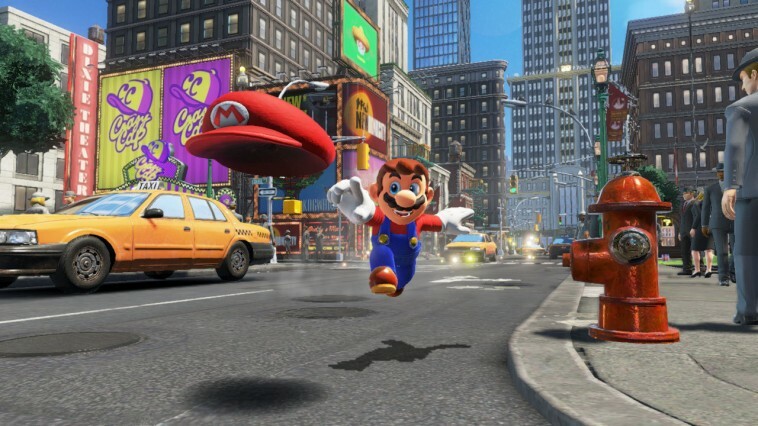 This move is called the Cap Jump where Mario tosses Cappy to a specific direction and use the cap as a trampoline. Check out our Super Mario Odyssey Wiki for walkthroughs, boss guides, and more strategy guides.